Looking to buy reliable material handling equipment for your warehouse in Gold Coast? Moving large and bulky items for a short-term project? Or do you simply need a forklift for a day or two to move large items into a storage facility? Whatever your material handling need in the Gold Coast, Classic MLA can deliver. Here at MLA we cater to all kinds of material handling requirements with the best quality and brands of forklifts in Gold Coast. Be it immediate forklift hire for a day, a week or several years, you can trust MLA to provide you with the cost-effective solution you need. Our forklift hire in Gold Coast includes all required servicing and 24/7 emergency repairs so you never have to worry about sudden breakdowns. Give us a call now to arrange an obligation-free assessment of your needs and a quotation from the MLA team. With our proven ability and decades of experience, we can guarantee superb service and flexible, cost-effective solutions you can always rely on for your business. Never let your operations suffer from malfunctioning forklifts again with MLA’s forklift repair and maintenance services in Gold Coast. We have mobile service vans on the road in many areas so wherever you may need forklift repairs in Gold Coast, MLA will be there to quickly get your operations back up and running. Give us a call now for fast, friendly and reliable service. 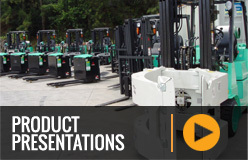 We also have an impressive selection of new and as well as pre-owned forklifts for sale. All used forklifts are reconditioned to brand specifications and may still include warranties on some major components. 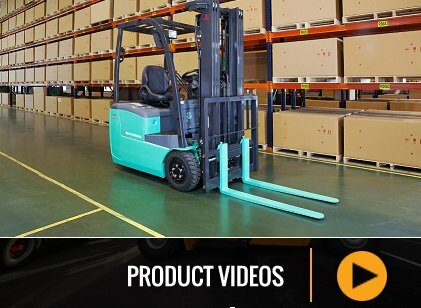 MLA has, through years of outstanding service and delivery of the finest material handling equipment earned the reputation of being a leader in this industry. Our commitment to excellence as well as being Australia’s exclusive supplier of Mitsubishi and Vulcan forklifts is your assurance that we will not let you down. Get in touch with Classic MLA today!